Howdy all small ad here. Looking to trade one or all of the three brushes for one or more of yours. After receiving my Simspon M6 and Sahvemac D01 2band I'm full fledged backbone and scrubby brush guy. I thought there may be some people out there who have strong backbone/scrubby brush they don't like or use anymore. The brushes are the following..All very lightly used and well maintained. 3. Shaverjoe Snow leopard with TGN Pure knot- Dense, very good backbone, too scritchy for me. If you want more pics or info just let me know. Sounds interesting Craig. Do you think you could get your wire brush clean enough? I'm a little confused Craig, are you offering up a Shavemac D01 2-band? Because my grill is pretty dirty. Along with some pots and pans after cooking mac and cheese. (11-06-2014, 07:39 AM)NSmalls Wrote: I'm a little confused Craig, are you offering up a Shavemac D01 2-band? No, the D01 two-band would probably scratch up your pots and pans. It's really useful if you ever need to scrape the barnacles off the side of a ship, though. 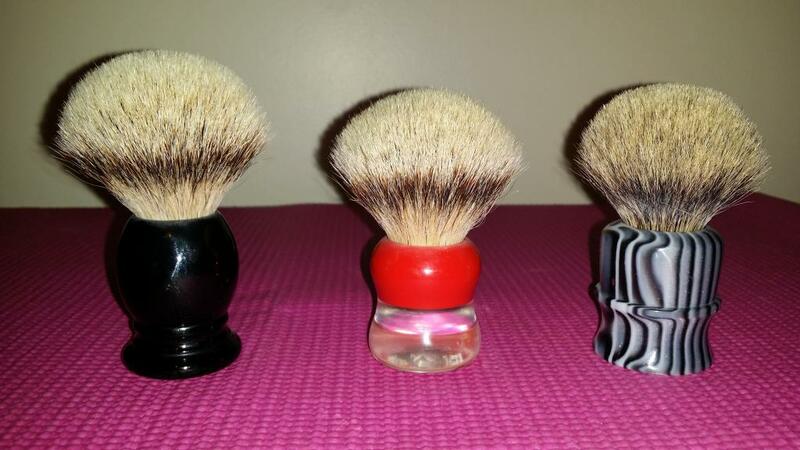 Alas the scrubby brush people are silent.Open to trades for razors,soaps, SOC badger.